I am a firm believer in the power of dressing sharply and smartly i.e. like a #GirlBoss. (PS I am also reading #GirlBoss Book these days – you can see all behind the scenes activity of what makes fashionforroyals on my Instagram, follow me now!) Dressing powerfully does not have to break the bank and you certainly do not need to be a fashion editor to do so. In fact, it is really easy – just start with the five tips that follow! 1. Tuck your shirt in. I know that the “half in, half out” style is making waves in the streets, but every power woman knows that a well-ironed and neatly tucked in shirt is the way to go. Trust me. 2. 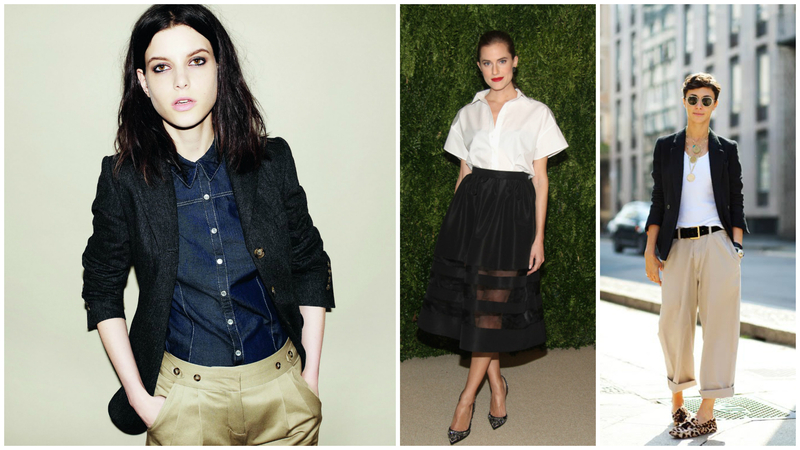 Treat yourself to a pair or two of tailored pants to complete your #girlboss wardrobe. These babies will hold you in good stead and last you for a couple of years if you treat them right, so do not be afraid to spend a little extra for great quality and the perfect fit. 3. Play with proportions (within limits, of course). Your ensembles do not have do be boring or standoffish. Have a little fun by experimenting with shapes and silhouettes. Wear a fitted white shirt with wide leg trousers, cigarette pants with an oversized turtleneck…you get the idea, ladies. Keep it classy. 4. Explore your androgynous side. Do not get me wrong; I am all about pencil skirts and killer heels, but I have come to realize that being able to pull off a menswear-inspired outfit can be a wonderful confidence boost. Play around with brogues, bowties, pinstripes, waistcoats and more! The sky is the limit. 5. Find your uniform. Now, when I say uniform, I certainly do not mean a look that you wear every single day but rather, your go-to ensemble that makes you look like you have spent a lot of time putting it together when in actuality, you rolled out of bed ten minutes late. Your uniform should be flattering and make you feel comfortable in your own skin. My uniform is a pair of skinny jeans, a silky printed top and a fitted blazer, topped off with pointed ballet flats. Et toi?